a. The Monster Jam Ticket Giveaway (“Promotion”) will begin on Tuesday, March 26, 2019 at 12:01 a.m. EDT and end on Thursday, March 28, 2019 at 4:59 p.m. ET. a. The Promotion is open to all legal residents who are 18 years of age or older at the time of entry and who live in Ohio: Hamilton, Clermont, Brown, Adams, Highland, Clinton, Warren, Butler, Preble, Montgomery, Greene and Middletown. Kentucky: Gallatin, Boone, Kenton, Campbell, Owen, Grant, Pendleton, Bracken, Robertson, Mason, Harrison, Carroll and Scott. Indiana: Jefferson, Jennings, Ripley, Decatur, Franklin, Fayette, Union, Dearborn, Ohio, Switzerland and Wayne. Employees of WXIX (the “Station”), its parent, subsidiary, and affiliated entities, its advertising agencies, participating sponsors/promotional partners, other broadcasting stations in the Cincinnati DMA, and the members of their immediate families (spouse, parents, siblings or children) or households (whether related or not) are ineligible to participate or win. This Promotion is subject to all applicable federal, state, and local laws and regulations. Void outside the United States, in NY and FL, as applicable, and where prohibited. c. Winner must provide proof of age and legal residency. d. Entrants are required to provide truthful information and the Station will reject and delete any entry that it discovers to be false or fraudulent. The Station will disqualify any entry from any individual who does not meet the eligibility requirements and will also delete any entry as required by law. 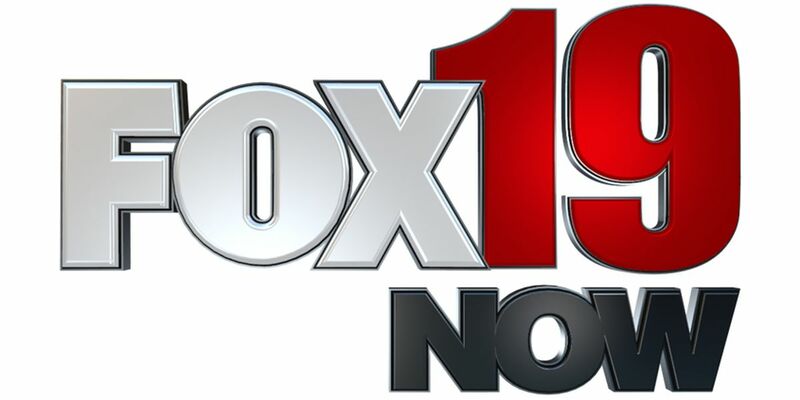 By visiting FOX19NOW.com/contests or through the Station Facebook page at https://www.facebook.com/FOX19Cincinnati/. Click on the link to the entry form and enter the requested information, which may include your first name and last name, complete postal address (street, city, state, and zip code), email address, telephone number, and date of birth. Facebook entries will be deemed made by the authorized account holder of the Facebook account used to submit the entry at the time of entry. The authorized account holder is the natural person who is assigned to the Facebook account by Facebook. Multiple entrants are not permitted to share the same Facebook account. Entries submitted will not be acknowledged or returned. Use of any device to automate entry is prohibited. Proof of submission of an entry shall not be deemed proof of receipt by Station. The contest/sweepstakes administrator’s computer is the official time-keeping device for the Promotion. This Promotion is in no way sponsored, endorsed or administered by, or associated with Facebook. By submission of an entry, an entrant releases Facebook from any responsibility or liability for the Promotion’s administration, prizes or promotion. You are providing entry information to the Station and not to Facebook. 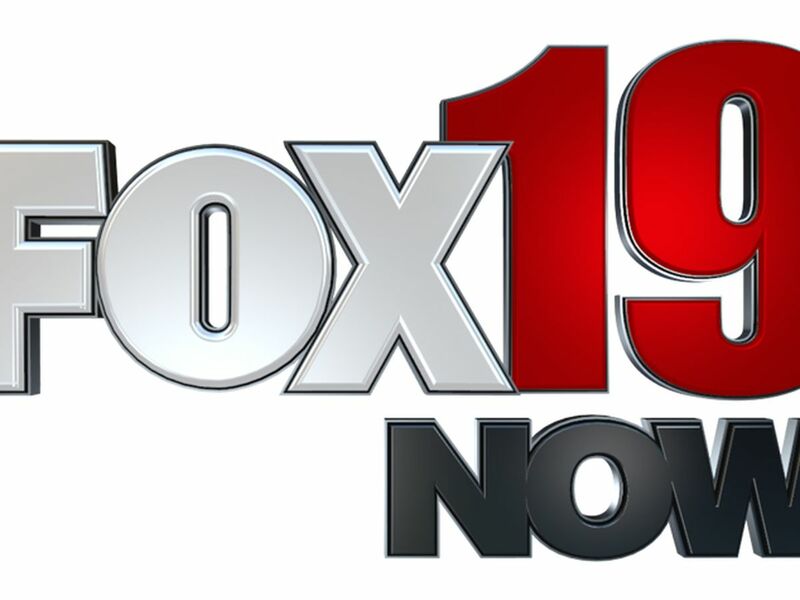 On the FOX19NOW.com/contests and https://www.facebook.com/FOX19Cincinnati/ entry begins on Tuesday, March 26, 2019 at 12:01 a.m. EDT and ends on Thursday, March 28, 2019 at 4:59 p.m. EDT. Follow the links and instructions to enter and submit your first name and last name, complete address, city, state, zip code, telephone number, date of birth, and a valid email address in the online entry form. Internet entries will be deemed made by the authorized account holder of the email address submitted at the time of entry. The authorized account holder is the natural person who is assigned to the email address by an internet access provider, online service provider or other organization that is responsible for assigning the email address or the domain associated with the submitted email address. Multiple entrants are not permitted to share the same email address. Entries submitted will not be acknowledged or returned. Use of any device to automate entry is prohibited. Proof of submission of an entry shall not be deemed proof of receipt by Station. The contest/sweepstakes administrator’s computer is the official time-keeping device for the Promotion. b. Only one Facebook entry per person and one entry per Facebook account during the life of the giveaway are permitted. Only one FOX19NOW.com internet entry per person per day. a. One of two (2) four-packs of tickets to the Monster Jam, 1 p.m. EDT Saturday March 30, 2019 at U.S. Bank Arena. Each four-pack is valued at $160. b. ODDS OF WINNING DEPEND UPON THE NUMBER OF ENTRIES RECEIVED. d. There is no substitution, transfer, or cash equivalent for prizes, except that the Station may, at its sole discretion and to the extent permitted by law, substitute prizes of comparable value or cash. The prizes are expressly limited to the item(s) listed above and do not include taxes, gratuities or any other expenses. Any tickets awarded as part of a prize will be subject to the terms and conditions set forth by the issuer and are valid only on the date(s) printed on the tickets. Other restrictions may apply. a. Decisions of Station management with respect to the Promotion are final. b. After 5 p.m. EDT March 28, 2019 two (2) winners will be picked at random from all valid entries to receive one (1) of the 4-packs of tickets. c. Winners will be contacted by phone or email after 6:00 p.m. EDT on Thursday, March 28th. Winner(s) must execute and return any required affidavit of eligibility and release, publicity release, and/or guest/traveling companion release by Friday, March 29 at 5 p.m. EDT or winner will be disqualified and the prize will be forfeited and an alternate winner(s) may be chosen at random. If a potential winner(s) cannot be contacted, fails to complete, sign and return any required affidavit of eligibility and release, publicity release, and/or guest/traveling companion release within the required time period, or if a prize or prize notification is returned as undeliverable, the potential winner(s) will be disqualified and will forfeit the prize. An entrant who provides a mobile wireless number to the Station in connection with a promotion, including by entering via text message or providing a mobile number for winner notification purposes, is responsible for informing the Station if his or her number is reassigned to another person at any time before the end of the Promotion set forth in Section I.a. of these rules, and for providing an alternative number where he or she may be reached. 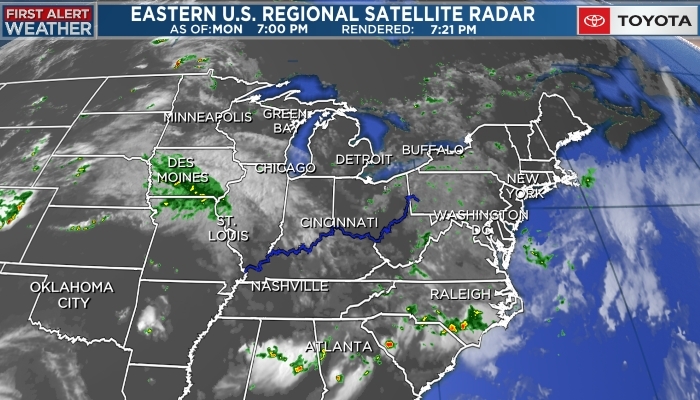 d. Unless otherwise specified in the prize notification, all prizes or prize certificates may be picked up at the office of the WXIX at 650 Gest Street, Cincinnati, OH 45203. during regular business hours, Monday through Friday (except holidays) 8:30 a.m. to 5 p.m. EDT. The winner(s) will forfeit any prize or prize certificate not claimed by Friday, March 29 at 5 p.m. EDT. Prize or prize certificates will not be mailed to the winner(s) without the winner’s or winners’ prior written consent in which the winner(s) shall agree to assume its risk of loss. The Station, its sponsor(s), or promotional partner(s) are not responsible for the safe arrival of a prize or prize certificate. a. Payments of all federal, state and local taxes are solely the responsibility of the winner(s). Winner(s) will be required to complete and submit an IRS Form W-9 or the equivalent including a winner’s full Social Security Number for receipt of any prize valued at $600 or more or for any prizes awarded by the Station (in combination with any prizes won in Promotions run by any other Gray television station) in a calendar year with an aggregate value of $600 or more. Failure to submit a complete W-9 or equivalent will result in disqualification and forfeiture of the prize. b. Participating in the Promotion and acceptance of a prize constitutes a winner’s and guest’s (where applicable) permission for the Station or its agents to photograph, film and record each winner, and to use his/her name, address (city and state), likeness, photograph, voice, biographical information and/or any statements made by him/her regarding the Promotion or its sponsors for purposes of trade, publicity or promotion without additional financial or other compensation, and, the Station may, where legal, require a winner (and guest or travel companion, where applicable) to sign a publicity release confirming such consent prior to acceptance of the prize. It is the responsibility of the winner(s) to ensure that their guest(s) or travel companion(s) sign and return to the Station any required release. d. Prior to awarding any prize or prize certificate and depending on the nature of the prize and eligibility requirements of the Promotion, the Station in its sole discretion may require verification of Promotion winner’s or winners’ identification by a showing of valid government-issued photo identification. e. To the fullest extent permitted by law, by participating and/or accepting a prize, entrants, winner(s) and guests (if applicable) agree to release and hold harmless the Station, its sponsor(s) and promotional partner(s), its advertising and promotion agencies, any social media platform utilized in the conduct of the Promotion (including but not limited to Facebook, Inc.) and each of their respective parent, subsidiary and affiliated entities, and the officers, shareholders, directors, employees, agents, representatives, successors, and assigns of each of them (collectively, the “Released Parties”) against any and all claims or liability arising directly or indirectly from the prize or participation in the Promotion. The Station may also require eligible Promotion winner(s) and their guests or travel companions, if any (as well as each of their parent(s) or legal guardian(s), if winner(s), guest(s) or travel companion(s) are under the age of majority in their state of residence), to sign a liability release confirming such consent. It is the responsibility of the winner(s) to ensure that their guest(s) or travel companion(s) sign and return to the Station any required release. f. The Station, in its sole discretion, reserves the right to disqualify any person (and all of their entries) from this Promotion if he or she tampers with the entry process, the operation of the Promotion, or the operation of the Station’s website, Facebook Page, and/or any other social networking site used in the Promotion, or is otherwise in violation of the rules. The Station further reserves the right, at its sole discretion, to modify, cancel, terminate or suspend the Promotion, or any part of it, if it is not capable of completion as planned or if any fraud, technical failures or any factor beyond the Station’s control, including infection by computer virus, bugs, tampering, unauthorized intervention or technical failures of any sort, corrupt or affect the administration, security, fairness, integrity or proper conduct of the Promotion as determined by the Station in is sole discretion. Any attempt by an entrant or any person to deliberately damage any station website, Facebook Page, and/or any other social networking site used in the Promotion or to undermine the legitimate operation of this Promotion may be a violation of criminal and civil laws. Should such an attempt be made, the Station reserves the right to seek full prosecution and/or damages from any such individual to the fullest extent permitted by law. The Station’s failure to enforce any term of these Official Rules shall not constitute a waiver of this provision. If due to circumstances beyond the control of the Station, any competition or prize-related event or travel is delayed, rescheduled, postponed or cancelled, the Station reserves the right, but not the obligation, to modify, terminate, suspend or cancel the Promotion and shall not be required to award a substitute prize. g. The Released Parties are not responsible for (i) typographical or other errors in the printing, the offering or the administration of the Promotion, or in the announcement of a prize; (ii) entries not received due to difficulty accessing the internet, service outage or delays, computer difficulties, malfunctions, disconnections, other technological failures, telephone service outages, delays, dropped calls, or busy signals, or any other difficulties that may prevent an individual from sending or receiving a text message; or (iii) lost, stolen, mangled, misdirected, postage due, illegible, incomplete, incorrect, or late entries. Due to online streaming delays, online viewers of station programming may have difficulty participating in on-air contests. Further, the Released Parties are not responsible if any part of a Promotion prize that cannot be awarded due to acts of god, acts of war, natural disasters, weather, acts of terrorism or other factors beyond the Station’s control. vi. if for any reason a claim or dispute regarding the Promotion or these Official Rules proceeds in court rather than through arbitration, there will not be a jury trial. i. The invalidity or unenforceability of any provision of these Official Rules, including but not limited to the agreement to arbitrate, shall not affect the validity or enforceability of any other provision. If any such provision is determined to be invalid or otherwise unenforceable, these rules shall be construed in accordance with their terms as if the invalid or unenforceable provision was not contained herein. j. To obtain a copy of the Official Rules or a list of winner(s) following completion of the Promotion, send a self-addressed, stamped envelope specifying “Official Rules” or “Winner List” to “Monster Jam Ticket Giveaway Winner List” or “Monster Jam Ticket Giveaway Official Rules” to 635 West 7th Street, Cincinnati, OH 45203. A copy of the Official Rules and a list of winner(s) (when complete) are also available during regular business hours at the main studio of WXIX at 650 Gest Street, Cincinnati, OH 45203. All such requests must be received within thirty (30) days following completion of the Promotion. Click here for the official rules to the FOX19 NOW Orville Prize Pack Giveaway. 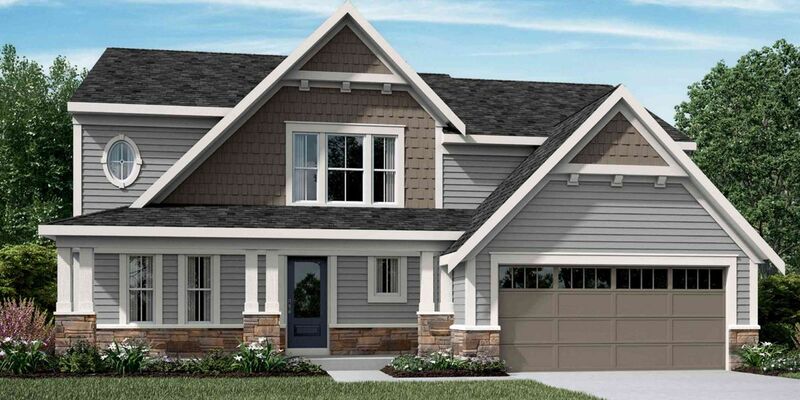 FOX19 NOW is proud to again partner with St. Jude Children’s Research Hospital for the 2019 Dream Home Giveaway.